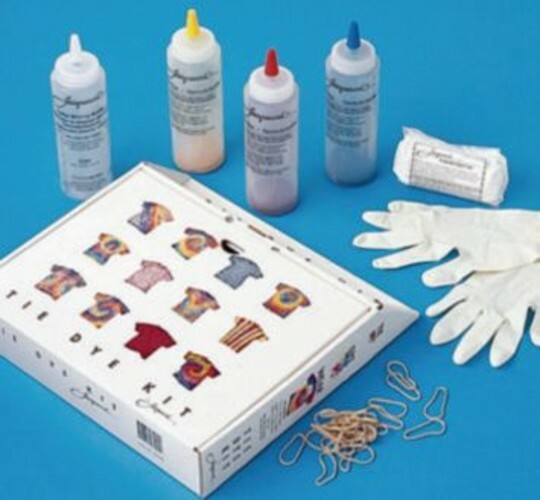 Economical kit dyes up to 15 shirts! Dye powder makes beautiful creations. 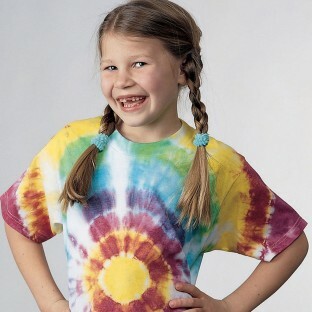 This is the easiest way to apply tie-dye. It has a higher concentration so the colors come out much brighter - and last much longer. The kids do much better with the bottles because they can be more specific about where they want color. They are always really happy with the results. Made shirts and sold them for an event during Nursing Home Week. The residents are always looking for something fun and new to do. This fit the bill for all of them. This kit was perfect for our project!